Business website, designed to impress local architects. Goulden & Sons wanted to work with the best architects around. To reach their market they needed to look the part and build a better website – which is when they approached us for web design and user experience services. First, we tweaked the brand logo and colours to enable a more modern and fresher look. We were then fortunate to be given some high-quality photography which helped us to fulfil the brief by bringing work examples to the forefront and adding new modern web design, presenting an image that was modern, smart and professional. 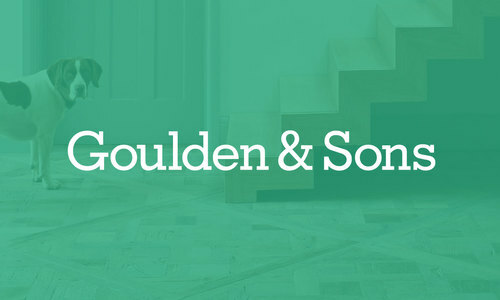 Goulden & Sons had three generations of experience of working within the construction industry, but in order to keep ahead of growing competition they needed to build their reputation with local architects. Architects are visually astute by nature, with a serious eye for design, so the new Goulden website needed to have a level of polish it hadn’t had before. Our design used high-quality photography and a smart grid structure to modernise the brand, while a vibrant and eye-catching colour drew the attention to the offer.